A newly-formed state task force begins its work Tuesday on how to deal with hundreds of horses moving about Eastern Kentucky. Part of the discussion involves the coal industry. The Free Roaming Horse Task Force came about through state legislation. 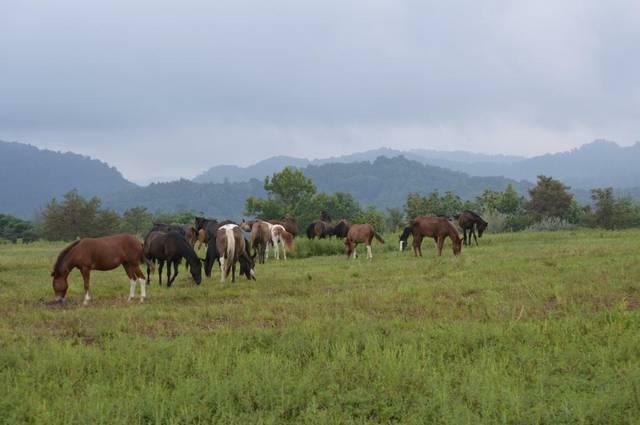 Ginny Grulke, with the Appalachian Horse Center, says the largest concentration of horse herds is found in Breathitt County, but there are also hundreds in another nine or ten counties. She says too many stallions are roaming free. “A stallion with their mares can double their herd size in four years and so, with multiple stallions running out there, that’s not what we want to see,” said Grulke. Grulke says another major concern involves horses feeding on reclaimed strip mine sites. She says this is preventing coal interests from recovering some of the bond money paid out when they began mining activity.